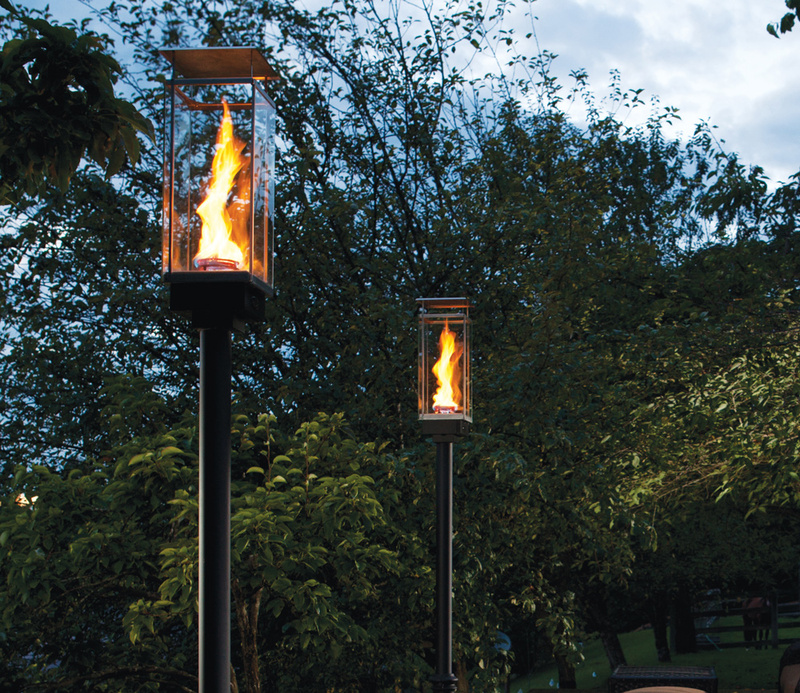 The Tempest Torch by Travis Industries creates a distinctive source of outdoor lighting for patios, decks and landscapes. The torch features tempered glass and a durable stainless frame and natural gas 20,000 BTU burner. The electronic ignition model is fueled by natural gas and is controlled by a wall switch control. This unit can also be used in conjunction with a programmable timer or controlled via a Smart Home system. The manual ignition model has an easy access control panel with a single on/off and flame height controller, as well as a safety shut off switch. This model comes with a rain cap which protects the flame in uncovered locations. The Tempest Torch can be post mounted, pillar mounted or mounted on your outdoor wall or structural support to provide a handsome decorative element that also illuminates. The Pillar Mount works for columns or pedestals (6" tall) and the Wall Mount is used for entry ways and sides on building. The Deck Mount Post is for installation on decks (94" tall). The In Ground Post is used for installation in ground (buried). If you need additional information please refer to Travis Industries Tempest Torch Owners Manual. The Tempest Torch comes as a standard base unit (a.k.a Torch Head) that includes gas valve, burner, igniter, glass panels, rain cap and frame. The Tempest Torch offers different mounting options. The unit can be mounted using a post or pillar, or can be wall mounted. The Pillar Mount works for columns or pedestals (6" tall) and the Wall Mount is used for entry ways and sides on building. The Deck Mount Post is for installation on decks (69" tall for the post height). The In Ground Post is used for installation in ground (buried). If you have questions concerning how or which mount to use please contact us for more information.